Information technology (IT) is the foundation of all modern science and technology. However, businesses, government entities, and private citizens are constantly attacked by cybercriminals, and the importance of cyber defense is growing. Our Information Assurance (IA) program emphasizes research and education in the broad issues of developing trustworthy information systems and helps answer the cybersecurity workforce shortage. Completion of the Information Assurance concentration area will result in the awarding of a certificate to the student by the Department of Computer Science. No accomplishments found. Please check back soon. Be the solution to the Nation’s shortfall of skilled cybersecurity professionals. 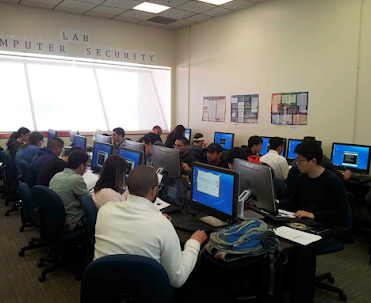 The cybersecurity lab is equipped with 16 Dell workstations that are loaded with cyberattacks and defense tools. 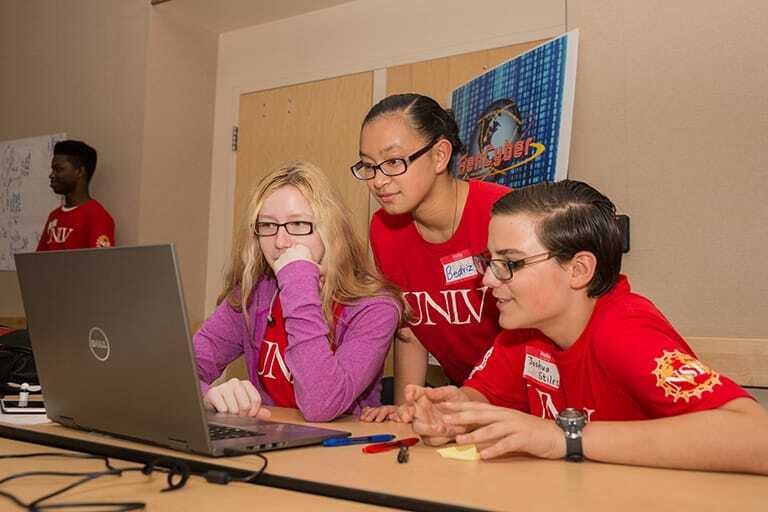 This lab offers an environment for students to learn and practice the necessary skills for cybersecurity in an isolated setting. The lab gives the students a hands-on experience in performing and detecting cyberattacks, and learning defense technologies. Through the hands-on exercises, students can understand the vulnerabilities of operating systems and applications, common attack methods through demonstrations and lab projects, and learn how to protect their computer systems.